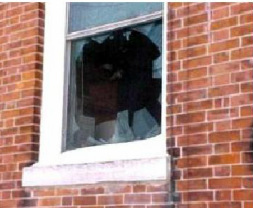 Glass for most repair projects like storm windows and doors, prime windows, sashless sliders and storefront windows. Glass for table tops . A staircase or deck rail, tempered glass is no problem and our prices are very competitive. 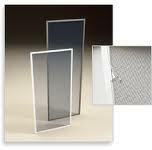 We can supply you with mirror for most projects. 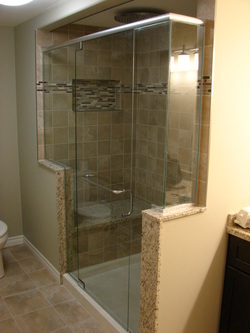 The most common is a bathroom renovation. A new mirror can bring a new dimension to a room that will be the focus of the start of your day. Mirrors for an exercise room can give you that uplifting feeling. 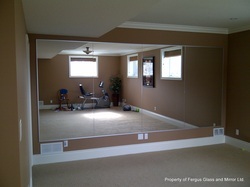 Beveled mirrors can be custom made to your specifications. From windshields to back glasses we replace them all. Don't want to make and insurance claim....ask us for a price... you will be pleased. 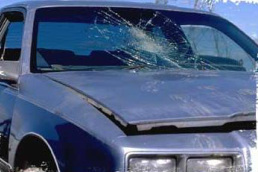 Windshield small crack and chip repairs are done in shop with a high success rate. 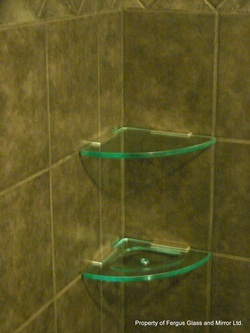 Shower shelves and custom made soap dishes.